Kitchen colour trends come and go, but the white kitchen always reigns supreme. From the floors to drawers and upper cabinetry, white continues to enjoy top ranking as being the most preferred overall colour for a kitchen in Melbourne. No other colour will reflect light as well as white. This is often why you find white cabinetry, splashbacks and benchtops in kitchens. White is the colour of cleanliness. Having a glowing white kitchen instantly gives it that squeaky clean feel, which is exactly the type of environment you want to prepare and cook meals in. Because the colour reflects light so well, even the tiniest of kitchens can feel substantially larger just by having white play a role in its colour scheme. According to colour therapists, white gives off positive vibes. It’s the colour of innocence, happiness and purity. White is the ultimate neutral shade. Virtually any colour can be combined with white to create a dazzling kitchen. From flooring, contrasting shelving to butcher-block benchtops, wood of any shade is a great accompaniment to white. Wood gives off a warm natural feel, particularly the light to medium shades. Deeper shades are a good choice for larger-sized kitchens as it can help make the space seem less large and intimidating. An attractive colour scheme in today’s white kitchen is using white cabinets on your uppers and floor to ceiling cabinets while using a darker colour like dark brown, blue or grey on your lower cabinetry. Another idea is to use white on all outer wall cabinets and then to use a contrasting colour on your island. This warms up the kitchen and adds some dimension to the room. A leading trend in kitchens right now is glass. Glass front upper cabinets are a great option, and you can incorporate a glass splashback to make the room look even more bright and spacious. Stainless steel appliances are the top choice for kitchens today, and it just so happens that they go very well with white kitchens. A stainless range hood, oven and refrigerator will all work well. Book your free in-home kitchen design with Zesta Kitchens! Interested in building a gorgeous and affordable new kitchen in your home? Speak with one of the kitchen design experts here at Zesta Kitchens! 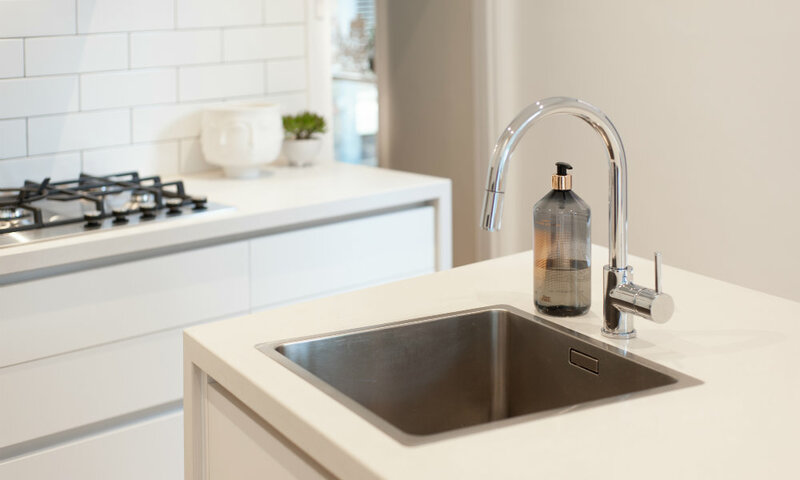 From classic and traditional to sleek and modern, we help homeowners in the Melbourne area create beautiful spaces through innovative design, quality materials and in-demand finishes from the top brands in the industry.